Santorini Pot Tote features the glorious blue and white that is the signature of the magical island of Santorini. 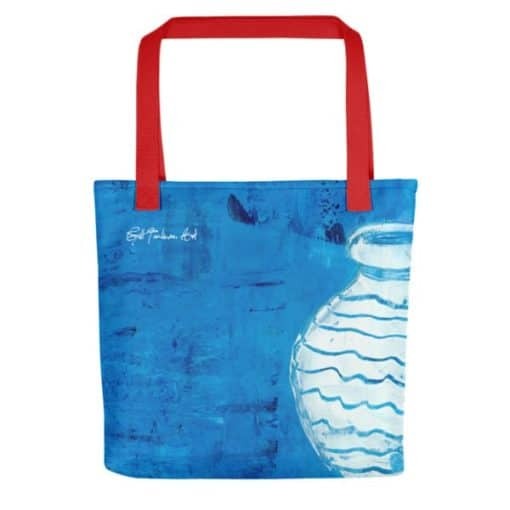 A strong, capacious, fully-lined tote bag featuring evocative Greece and Mediterranean-inspired artwork. The colour, texture and detail of the original paintings are reproduced beautifully. These totes are very well made, with a serviceable black lining and strong cotton handles. 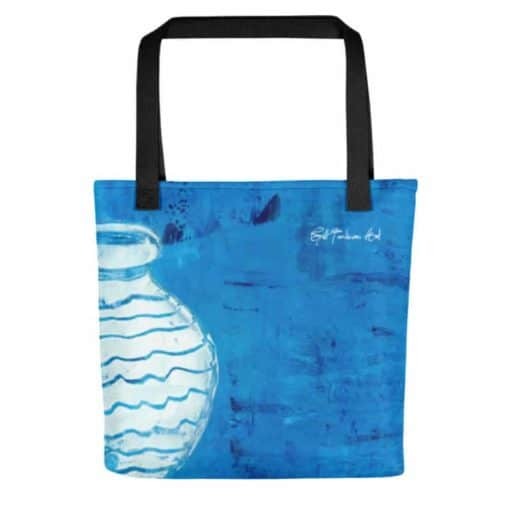 Perfect for summer holidays or everyday use, they also make a distinctive and unique gift. Only available direct from Gill Tomlinson Art – the totes are individually printed to order and you can choose red or black handles.